Its been long to wait, but at last, Healthy Calorie will open in a few days time. Located on the 2nd floor of the Harbour Gate with The Bahrain Financial Harbour, Healthy Calorie have relocated from the 3rd floor Atrium. New and old customers will be pleased that another restaurant has made an appearance at the Harbour Gate. 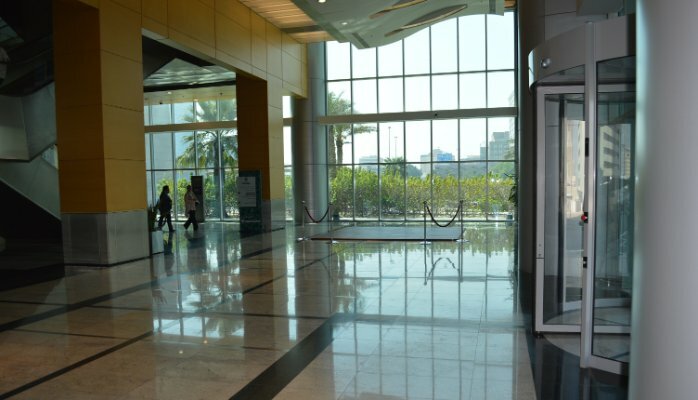 Today we have an empty space at the Harbour Tower West Lobby. Tomorrow we open ..